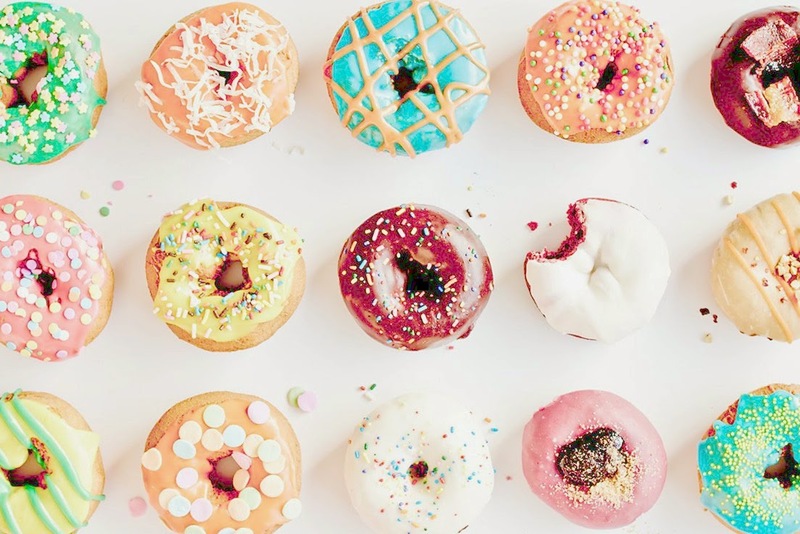 I have always loved donuts and glazed are my favorite ever. The magic is in the hole, love little munchkins, you can put the entire thing in your mouth! [the magic part]. 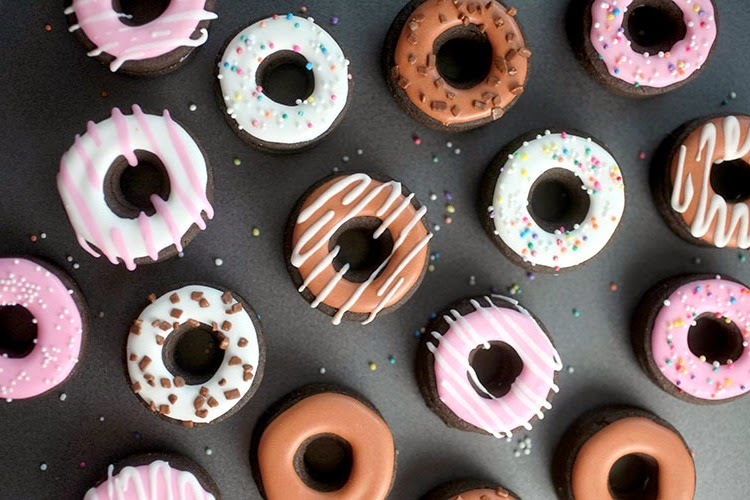 I am a huge fan of the pink frosted glazed donuts sprinkled of course! Everyone has their favorites which makes this crush perfect! I have been dying over the donut craze and totally excited we're finally getting Dunkin' Donuts like a quick car ride and thirstbuster away! Today we picked up the stinking cute dish towels [number nine] and some donut lip-gloss [number ten] which Adie feeds them to monkey! I haven't quite shown her the lip-gloss part because I know that will be a hot mess so we'll stick to the sticky fingers from eating donuts. We can never pass up a good book or hair pretties! I love everything about number two, donut + glitter = LOVE! A few things for Mamas too! Adie was so funny picking out donuts, every time the lady pulled the rack out to box up our favorites she would totally get pissed. But we got our dozen glazed, sugared and sprinkled donuts home and she holds the donuts so funny! One hand on each side of the donut and takes her little bites and picks off some of the sprinkles and giggles. LOVE HER! I found such an easy recipe, it looks easy anyway, on Pinterest and will give it a try for her birthday! Maybe make a cute bunting banner and add a sparkler candle, I cannot wait to see her face light up! 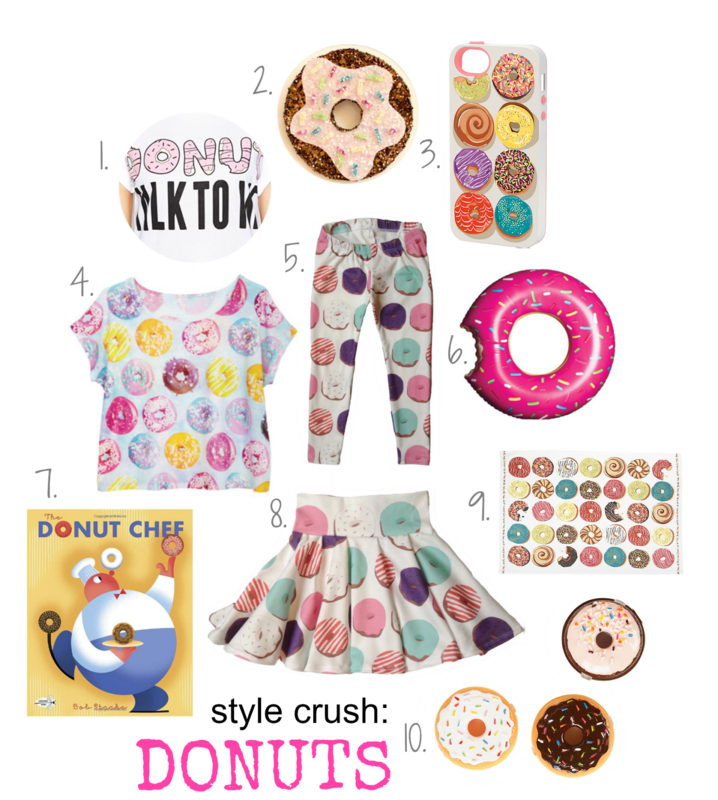 I've been obsessed with donuts lately too, and just picked up those same tea towels today. What an adorable list! Happy Friday!